One of the rarest Parrot species on Earth, the Spix’s macaw, has been sighted in its native Brazilian territory for the first time in 15 years. The species, which inspired the film Rio, was caught on video in late June. The sighting has both conservationists and local bird enthusiasts rejoicing. Considered extinct in the wild but officially listed as critically endangered, the Spix’s (or Little Blue) macaw was first distinguished as a species in 1638. It gained its name from the eponymous naturalist Johann Baptist von Spix in 1819. The macaw was always known to have a highly restricted natural habitat within the Caatinga dry forest. Though illegal poaching and habitat destruction, however, have restricted the region further. Consequently it has driven the birds to the brink of extinction. Now there’s a new hope following a spotting on June 18th by a Curaca farmer, Nauto Sergio de Oliveira. The following day his neighbor Lourdes and daughter Damilys Oliviera waited at dawn in hopes to glimpse the macaw again. At 6:20am, Damilys (a second generation macaw enthusiast) recorded video on her smartphone of the bird flying between the trees. 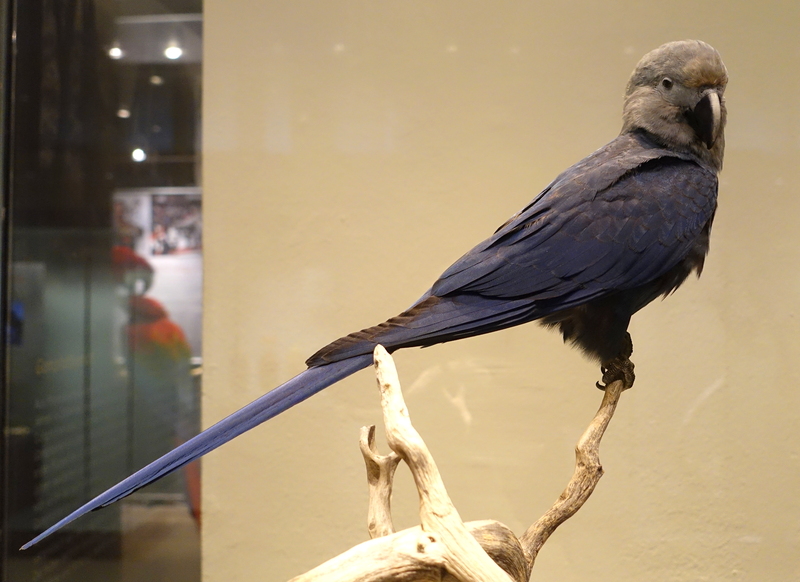 Lourdes forwarded the recording to the Society for the Conservation of Birds in Brazil (SAVE Brasil), where their biologists verified that this was in fact the rare Spix macaw. Scientists are unsure if the bird in the film is the same specimen as last seen in 2000 or a new individual. Still, either situation is a huge step forward in the bird’s preservation. Currently there are 130 Spix’s macaw in a captivity breeding program. Breeders hope to eventually reintroduce the birds to the wild, and increase their population. If the videoed bird is not the previously observed specimen, it is a much needed addition to the species genetic pool. Alternatively, if it is the same bird as seen in 2000, it gives conservationist’s hope that poachers have reduced their efforts, and the natural habitat – now mostly a wildlife preserve – has become more secure. Only time will tell.